What is Massage Therapy & how can I benefit from it? Therapeutic Massage is manually moving and manipulating the muscle tissue to improve one's health and promote relaxation physically & mentally. Massage improves circulation, reduces tension and anxiety, treats and prevents muscle pain & spasms, calms the nervous system, & encourages a sense of relaxation. Massage Therapy can be effective on muscle pain & stiffness. Receiving massage regularly helps maintain physical, mental, & emotional well-being. 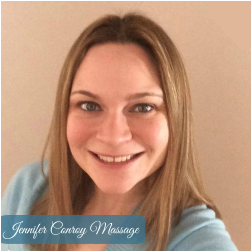 Who is Jennifer (Weller) Conroy, LMT? 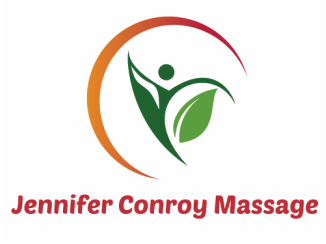 I am a New York state licensed massage therapist and a certified aromatherapist. I have attended the Fingerlakes School of Massage in Ithaca, NY and have been practicing massage for over 14 years. I trained with essential oils and aromatics through the Aromahead Institute located in Sarasota, FL. I've enjoyed working both in a relaxation spa setting, salon, and private practice. I like to constantly learn new techniques and about different products. I also enjoy training, teaching, and enhancing the knowledge of others in these areas. I enjoy combining essential oils into massage to allow the added benefits of the oils to enhanced the healing process. I believe receiving massage regularly is an essential part of a wellness plan and a healthy lifestyle. Each individual has specific needs and wants that will be catered to accordingly to allow for the best treatment and therapy to achieve the maximum results you're looking for. Massage is not just a luxury, but a necessity. While being on my own personal health journey, I have recently been expanding my knowledge with health and fitness, and reaching out to like-minded individuals who love or would love to live a happy, healthy, fit life. I've lost over 65 pounds with a balanced lifestyle of simple at home workouts and clean eating. I am here to support, motivate, and keep you accountable in reaching your health & wellness goals. Please visit the fitness link, check out my journey, and contact me so we can work together to change your life!